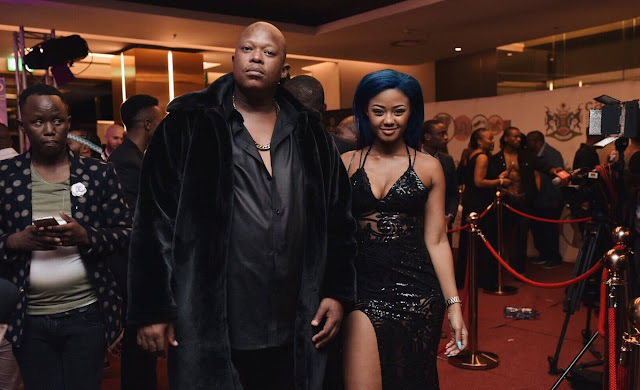 Following Babes Wedumo and Mampintsha's outburst in Sun City on Saturday after she walked away with no trophies, their record label took to Instagram on Monday to offer an apology to the public and her fans. "F***k all this sh**t F**k! you're jealous, you're all jealous. How can a song trend the whole year, little kids were singing the song, even little white kids! Then you as a board decide that this is the song that won and Babes doesn't win. Babes always doesn't win because you guys are jealous, you're jealous." Babes followed suit with her own rant via social media and posted a video on which she said it was 'clear that awards are bought here in South Africa'. Today Westink Records released a statement acknowledging the recognition Babes Wedumo received from SAMAs with the four nominations and the support they receive for their music from the public. Personally, I think this is great and shows a level of professionalism befitting a company that represents some of the biggest artists in South Africa. We all have those moment where we act foolishly and in hindsight realise we could have handled the matter better. With that, I think we can move on from this and hopefully Babes and Mampintsha have learned to deal with such issues in a more measured way in future.